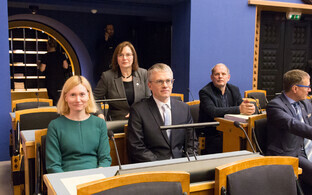 Riina Sikkut (Social Democrats), the recently-appointed Minister of Health and Labour, has said that in respect of Estonia's gender pay gap lies one peculiarity, which is that most (she put it at 85 per cent) of the reasons for the gap cannot be easily explained. 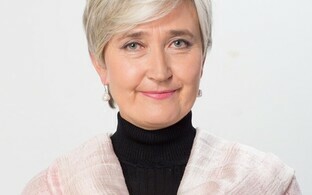 Speaking in an interview on ERR's Vikerradio, Mrs. Sikkut stated that there was no single answer to explain Estonia's pay gap, one of the highest in the EU at 20.9 per cent. ''If the reasons for lagging behind in the tables were clear, then we'd know what needed to be done,'' she said. ''However the peculiarity of Estonia is that only a small part of the payroll differences can be clearly explained,'' she went on. According to Sikkut, about 15 per cent of difference can be explained, namely that men and women often tend to do different types of work; for instance it would be fair to say there are more women in the fields of education or social welfare, but more men involved in engineering or leadership positions, she stated. That still leaves 85 per cent 'unexplained', in the Minister's view. ''Neither the differences in sectors where men and women are to be found, nor their respective educational level or other objectively measurable skills can explain the lag,'' she went on. ''Clearly these are factors other than those on a person's CV,'' Sikkut explained, questioning whether it was a case of differing degrees of motivation and personal qualities which was behind the reasons for the continuing gap, or simply a question of straight discrimination. Speculating further, Mrs. Sikkut stressed that there was often no premeditated discrimination involved, just a case of recruitment parameters being as they are, ie. employers aren't looking specifically for a man or woman, won't pay above 1,000 per month for the role etc. She also pointed out that prevailing attitudes to differing positions had an effect: ''If certain roles have traditionally attracted primarily men, then it becomes a norm that men will largely be recruited to the role,'' she went on. Whereas work conditions may have changed dramatically, it is not necessarily the case that employer attitudes towards recruitment, wages etc. have changed in line with that, she averred. This is in spite of the fact that employers and businesses have been obliged by law to grant equal pay for equal work. 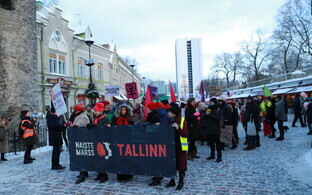 According to the Minister about a third of companies in Estonia have negotiable salaries, and about a half have fixed salary budgets in place. She added that a transparency in pay scales within a company is likely to lead to a more friendly, equitable and comprehensible culture among employees. According to Sikkut, the public sector is to blaze the trail on the issue. A draft bill if passed will require close monitoring of pay in the public sector, starting from 2020, it was reported. 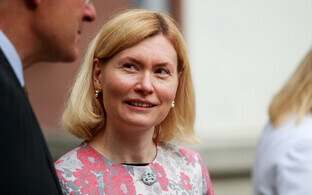 Riina Sikkut became Minister for Health and Labour at the beginning of May, replacing party leader Jevgeni Ossinovski in the role.